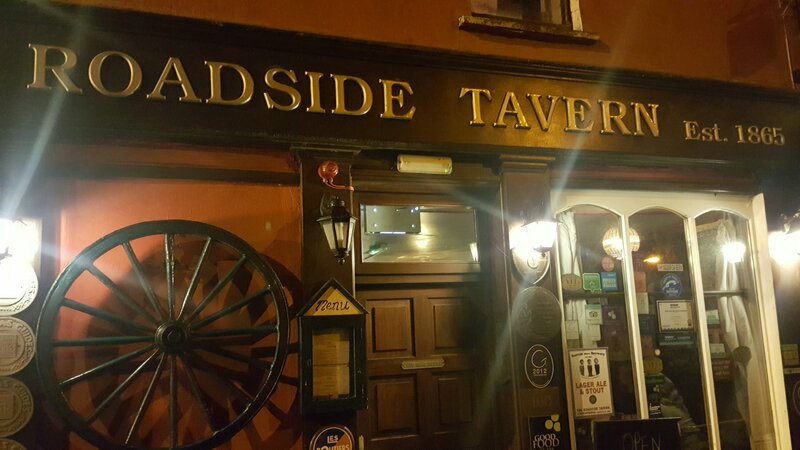 Roadside Tavern, Lisdoonvarna | Simon Says… You really should drink this! During the week I was in Doolin for a wedding. On the way down we stopped in nearby Lisdoonvarna with the intention of visiting the Roadside Tavern. Alas, it was closed for a private function! On the way home, we happily found the door open. Coincidentally it was a Burren Food Trail night and every table was full, so myself and my wife took a seat at the bar. 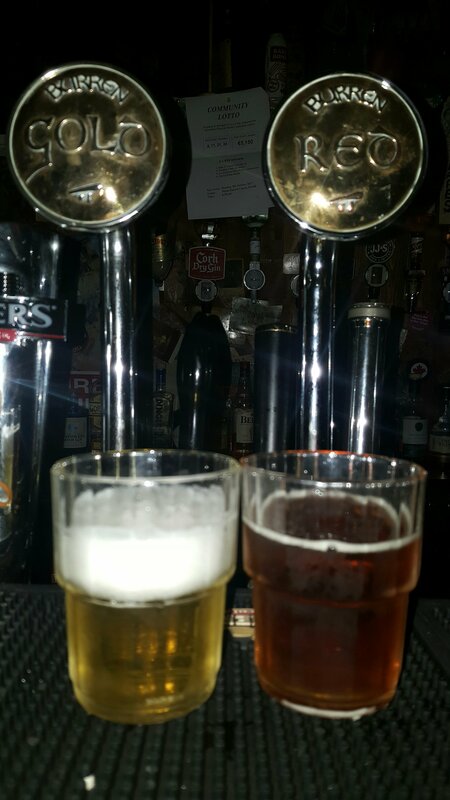 I was given a taste of the Gold Lager and Red Ale. The Lager didn’t really do it for me but the Red was pretty decent. The Black Stout though, it was top notch. Dry, slightly bitter and with a hint of smoky peat, this one ticked all of my boxes. I would happily sup pints of it all night. At this point we were having a bit of craic with the lads behind the bar and they kindly gave us one of the very special desserts that Chef Vinny had concocted for the assembled foodies. 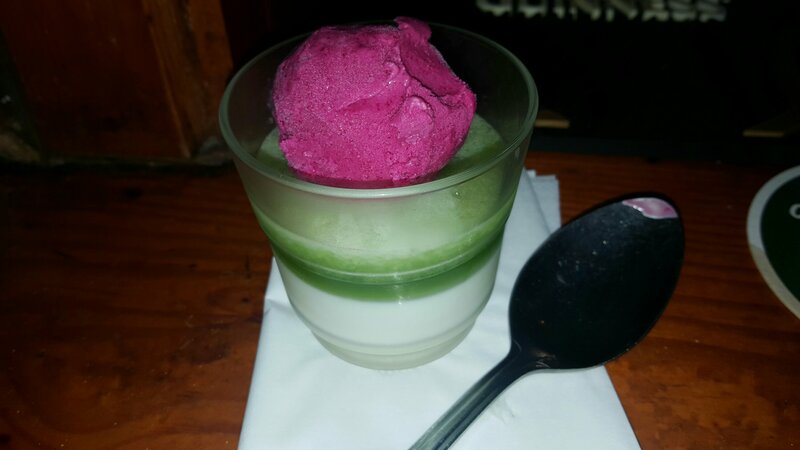 It was comprised of beetroot ice cream, cucumber jelly and yoghurt. Savoury and delicious. I would say that if they injected some of the adventurous spirit from the kitchen into the brewery they could come up with some very interesting special beers. A visit would be highly recommended. I’ll be back for food and more of the Black Stout. Sláinte! 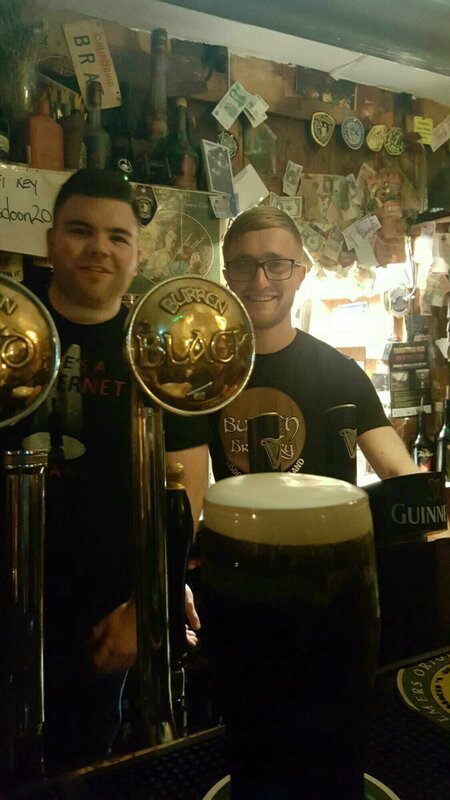 This entry was posted in Uncategorized and tagged Beer, food, irish craft breweries, travel. Bookmark the permalink.